Endeavor Toner is a woman-owned business that offers products to meet your printing needs. 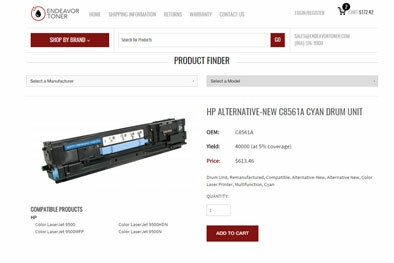 With toner installation options, they can proactively replace your toner as part of their service. Proactive toner replacement reduces toner waste further driving cost savings for the customers’ bottom line. 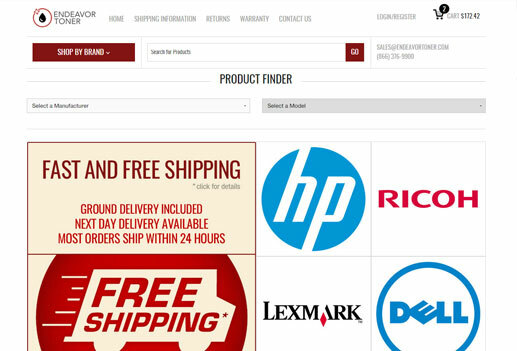 Endeavor Toner was looking for a new responsive website that could integrate with their product management system to provide on online ecommerce solution. 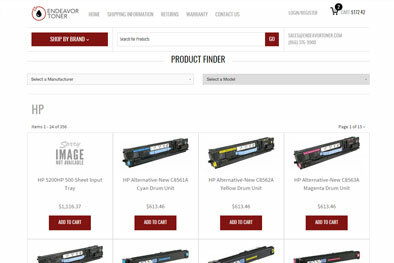 We provided Endeavor Toner with a responsive ecommerce system that integrates with their product management system and Authorize.net. This new website provides a user-friendly shopping experience across all devices.